Disney on Ice "Let's Celebrate!" 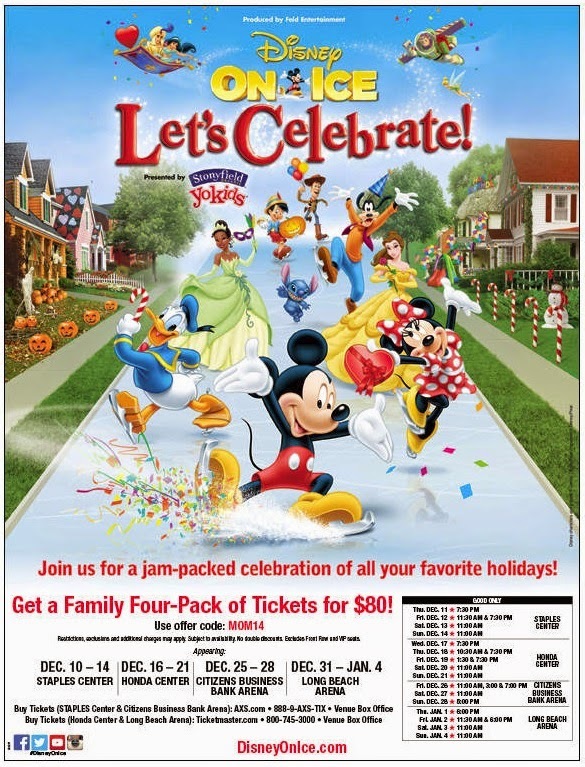 Our holiday festivities are off with a bang with Disney On Ice "Let's Celebrate!" My kids LOVED seeing their favorite characters such as Ariel, Jasmin and Lilo ice-skating to their favorite tunes. The show is filled with so many great numbers but the most memorable was probably the surfer surrounded by a fire ring during the luau party. And after the show, you can continue your ice-skating adventures at the rink across the Staples Center. Get your tickets now at DisneyOnIce.com! Disney On Ice "Let's Celebrate!" Discount! Don't forget that Disney On Ice "Let's Celebrate!" is coming to the Southland beginning December 10th at the Staples Center! Use Promo Code: MOM14 to receive a family four pack for only $80! Holiday Deals at the Children's Place! The holiday shopping frenzy is here and there's no better way to save time AND money than by heading over to The Children's Place! My daughter was in pastel heaven when I brought home a great floral top paired up with a faux fur vest and a stylish gold skirt. They had so many great holiday options that it took forever to finally decide on this adorable pink and red formal dress, which she will proudly wear to take pictures with Santa. I saved so much time and crossed off SO many items from my shopping list by picking up an Olaf backpack for my son, cute warm and fuzzy panda slippers for my niece, an awesome Christmas morning onesie for my daughter and a few fun critter hats for our friends. I love bright colors because it helps me spot my little Tasmanian devil quickly in a crowd so you can imagine my excitement and appreciation when I found this orange and grey winter jacket on sale for forty percent off. They also had fleece pullovers for an unbelievable price of $5!!! I think my BEST find was this blue and orange sweatshirt for only $4 on the clearance rack. I KNOW, right?! I could hardly believe it myself. If you haven't already signed up for MyPlace Rewards do it NOW so you can accumulate points towards more savings in the future. Happy holiday shopping! 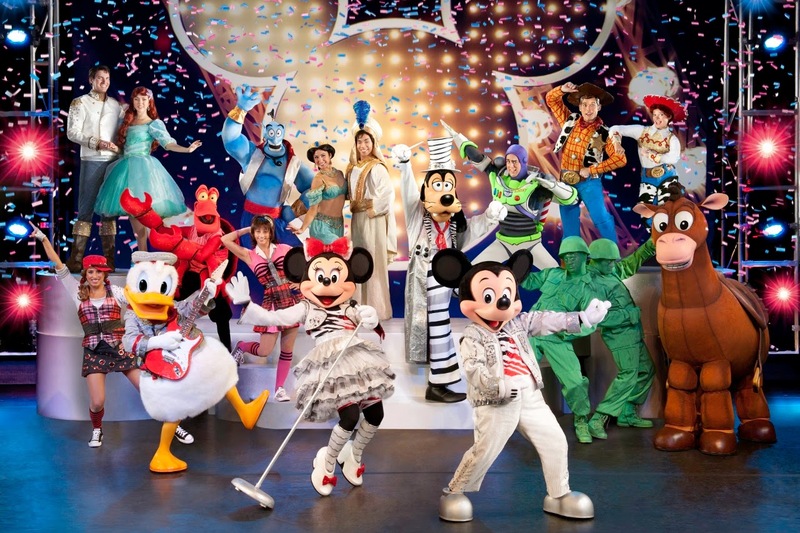 It's that time of year again where all your favorite Disney characters come together for a celebration extravaganza on ICE! Stonyfield YoKids Organic Yogurt comes to Los Angeles, Orange County and the Inland Empire from December 10th thru January 4th to present a magical show which features a montage of celebrations, festivals and holidays from all around the globe. Mickey and Minnie will guide you through a Halloween haunt with the Disney villains, then enjoy a Winter Wonderland with Buzz, Woody and Jesse and finally, reminisce about some summer fun by having a Hawaiian Luau with Lilo & Stitch. Experience all the traditional celebrations from China, Brazil and Japan right here in the Southland. 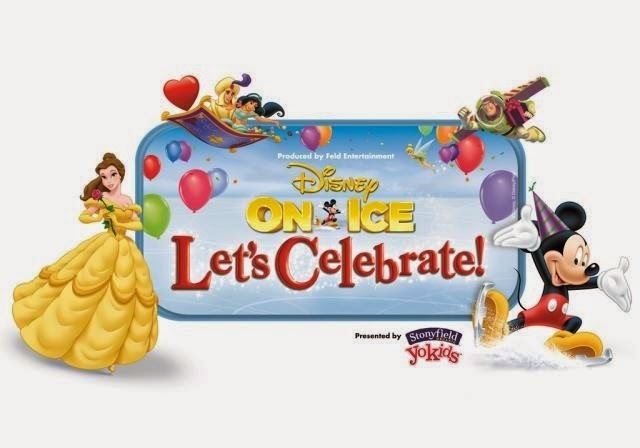 Disney on Ice Presents "Let's Celebrate" is the perfect way to kick off your holiday festivities so get your tickets now to this jam-packed celebration which is sure to be a hit with the whole family! Knott's Season Pass for 2015! If you haven't already purchased your Knott's Season Pass for 2015, NOW is the time to do so! It's at it's lowest price and you can even break it up into 9 easy payments of $8.50. This is a steal compared to all the other amusement parks, believe me, I've shopped around. If you like the excitement of Knott's Scary Farm then you'll definitely want to take advantage of this offer because it also includes exclusive discounts for this hot ticket event! The food at Knott's rates among the highest whether you like bbq, burgers or fried chicken. Mrs. Knott's Chicken dinner is simply UN-believeable. Therefore, adding the all season dining plan for only $99 should be an automatic. Seriously, you can't beat delicious food at an amusement park for that price. I love the fact that my husband and I can enjoy all the roller coasters and there's also an abundance of kid-friendly rides for my 6 year-old and 3 year-old. There's so many special events in the summer and Christmas that you'll definitely get your money's worth throughout 2015! So get an early jump on your Christmas shopping and purchase Knott's Season Passes for the entire family, the gift that keeps on giving! Camp Spooky at Knott's Berry Farm! I can't wait to dress up my little tank engine so he can march in "Snoopy's Costume Party and Parade". Then we'll head over to the "Mini Monster Maze" where we can work up an appetite before we collect some delicious treats. Aside from all the fun rides in Camp Snoopy, there'll be shows and activities for all your little ghosts and goblins to enjoy. Here's a link to our previous Camp Spooky extravaganza, just to give you an example of all fun shenanigans there. Last but not least, be sure to visit Mrs. Knott's Chicken Dinner Restaurant. Hands down THEE best fried chicken in the world,..dare I say, the GALAXY! This daytime, kid-friendly event is sure to be a hit with the whole family, so get your tickets now and don't miss "Camp Spooky" at Knott's Berry Farm! Disney Live! Mickey's Music Festival is Coming Soon!!! Disney Live! 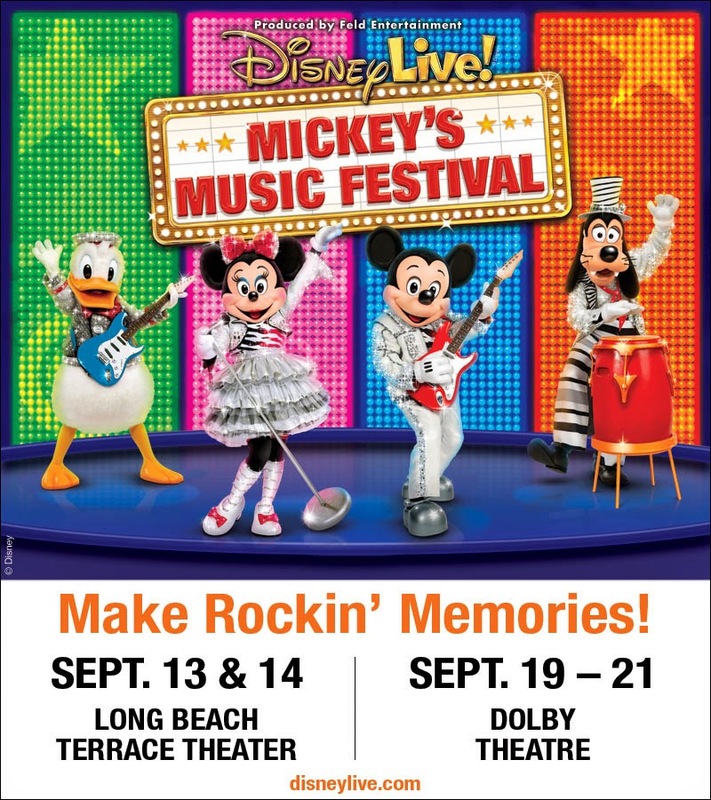 Mickey's Music Festival is coming to the Southland on September 13th! Be sure to catch this musical extravaganza with all your favorite characters from Aladdin, Toy Story and The Little Mermaid. Limited performances will take place at The Terrace Theater in Long Beach and The Dolby Theater in Hollywood! Click on this link to purchase tickets now! Fall Fashions at The Children's Place! Fall is here which means school is right around the corner. If you're looking for a one stop shop for backpacks, uniforms and stylish everyday wear for your little ones then head on down to The Children's Place. 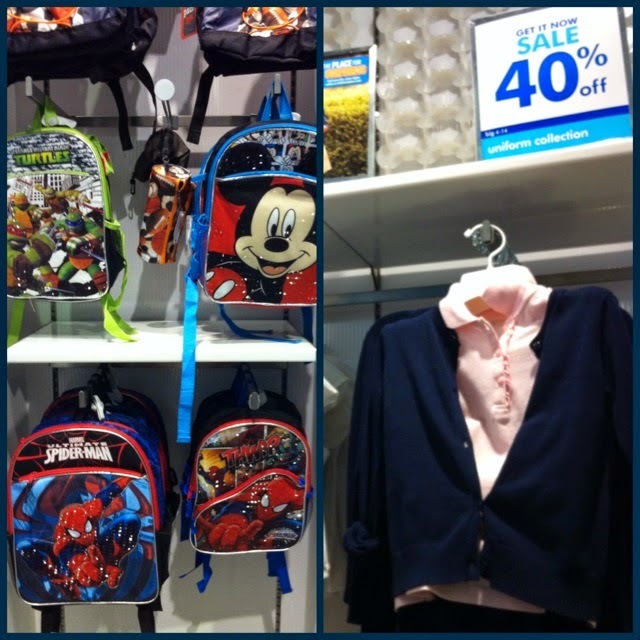 Most of your back to school necessities are on sale at forty percent off so if you're shopping for multiple kids the savings really add up. 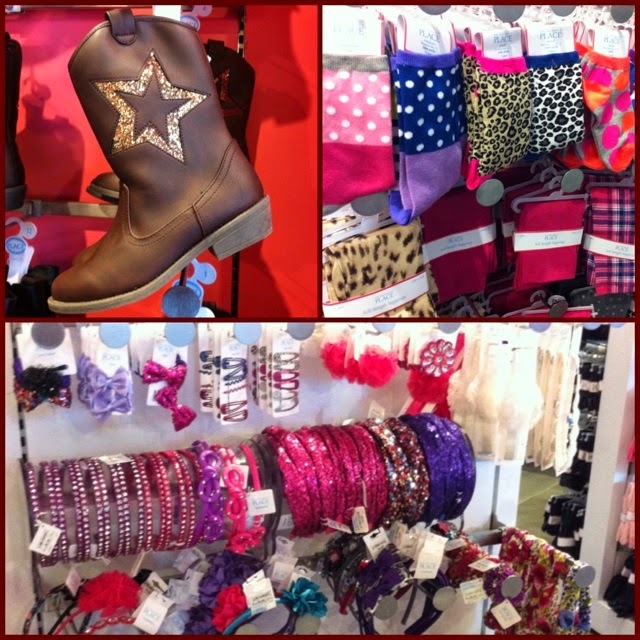 My daughter loves anything and everything bright and sparkly, what girl doesn't, so I picked up some animal print socks along with glittery boots and headbands. We we're in search of birthday outfits and I think we found it with this ruffly lace skirt ($12) and Tinkerbell tee for my daughter, which by the way came out to only $4 after all my savings. I couldn't resist this "I'm the birthday dude" tee for my little guy which was ALSO only $4 off the clearance rack. I you haven't signed up for MyPlace Rewards, do it NOW and get exclusive coupons and deals for all your back to school needs! Disclaimer: I was not paid for this post. I was invited to preview and shop from the fall fashion collection. All the views expressed are my own personal opinion, which IS The Children's Place rocks. Join Mickey, Minnie, Donald Duck and Goofy as they perform your favorite tunes from Aladdin, The Little Mermaid and Toy Story in Disney Live Mickey's Music Festival! This concert will have you dancing and laughing as you enjoy your favorite Disney songs remixed to pop, rock, reggae, hip-hop jazz and country. 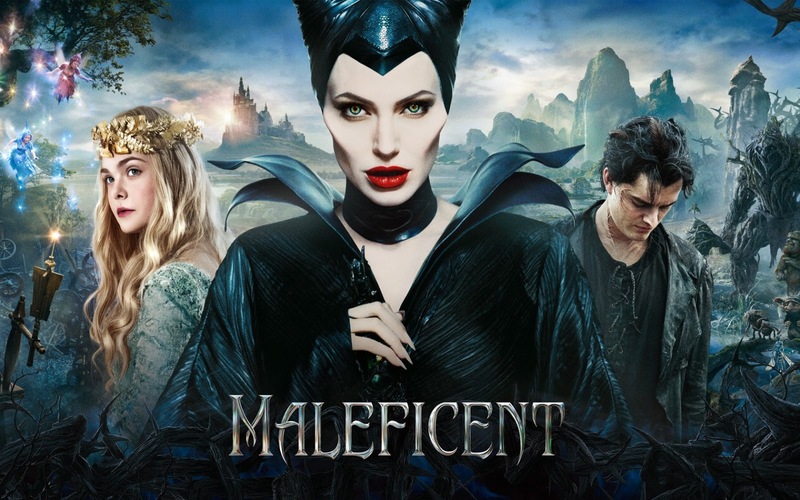 Disney fans will begin their journey with a state of the art video projection of all the backstage excitement. Soon thereafter they'll travel into a world of acrobatics and flying carpets with Aladdin, Jasmine and Genie. Then they'll dive underwater to jam to the reggae beats with Ariel and Sebastian. The final stop will be a rodeo-style boogie session with our Toy Story favorites Buzz, Woody and Jessie. Don't miss this amazing musical event in Long Beach (Sept 13-14) and in Hollywood (Sept 19-21)! Use offer code "MOM" and receive a family four-pack for only $80. Purchase your tickets now and get ready for the jam session of your life! Don't Miss Ringling Bros. Barnum & Bailey "Legends!" 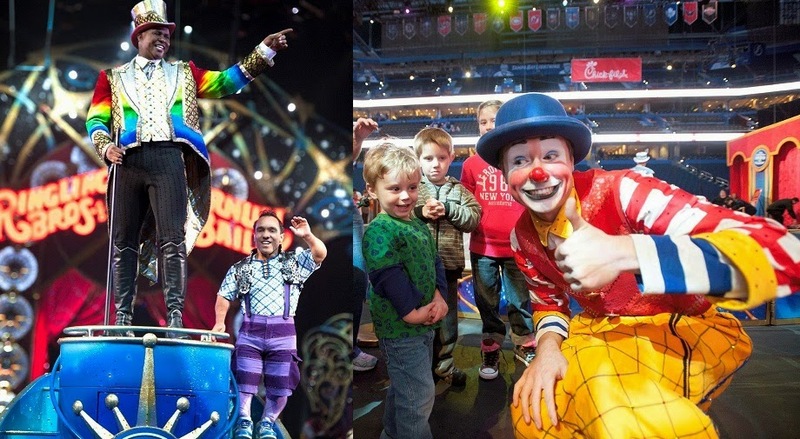 Be sure to catch Ringling Bros. Barnum and Bailey's "Legends" at the Staples center! 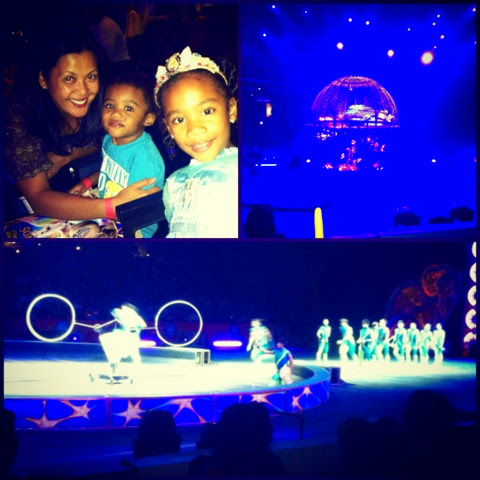 Our family had THEE best time watching our favorite acts, The Chinese National Acrobatic Troupe and the death defying motorcyclists in "The Globe of Steel". Come early to enjoy the pre-show and meet the performers up close and personal! 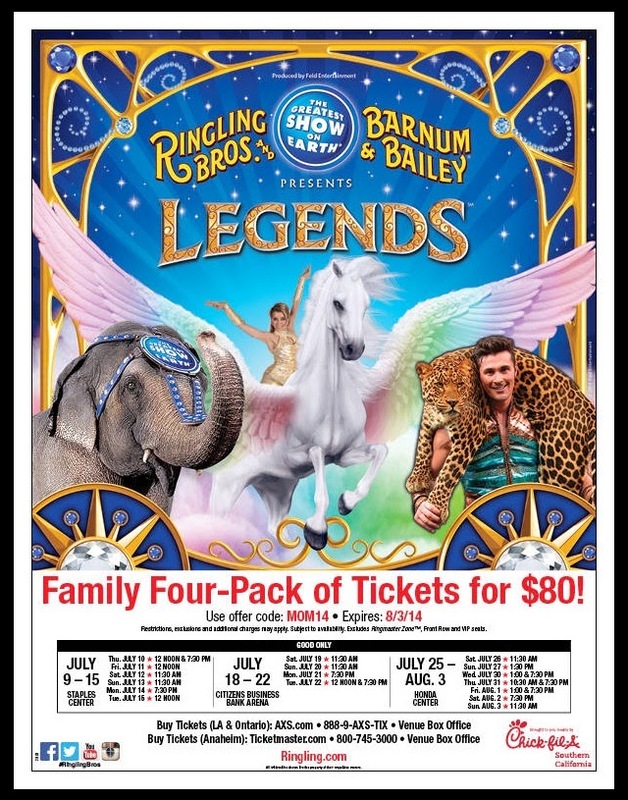 MOM Flyer discount for Ringling Bros. & Barnum and Bailey "Legends"!!! Ringling Bros. and Barnum & Bailey presents "LEGENDS" coming to the Staples Center July 9th! Use flyer code: MOM14 to purchase a family four pack of tickets for $80!!! Click here now!